A. Stevens Plumbing &Heating is the best plumbing and heating and cooling contractor in southern Orange County, NY. Specializing in both residential and commercial work, their team of highly trained technicians has the experience and the quality equipment to execute any plumbing or heating and cooling task, from sewer drain cleaning to hot water heater installation. For all of your plumbing and HVAC service needs in the Washingtonville area, contact A. Stevens Plumbing & Heating for fast, reliable service. Founded in 1986 by Anthony Annunziata, A. Stevens Plumbing & Heating has spent the past 30 years building a reputation for providing the best plumbing, heating, and cooling services. Their clientele includes local residents and high-profile businesses alike, and their portfolio boasts all types of projects, from well pump and boiler installations to HVAC system repair. With licenses in Orange, Rockland, and Westchester Counties, these technicians will keep your piping and ducts in tip-top condition anywhere in the Hudson Valley. 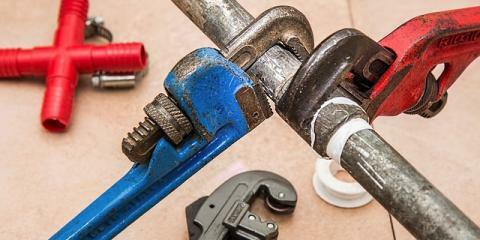 Whether you have a simple leak or want to remodel your bathroom, their plumbers will solve any plumbing issue. And if you need regular service on your air conditioner or your furnace has gone out, you can rely on their heating contractors to get the job done right the first time. A. Stevens Plumbing & Heating is family owned and their qualified professionals will deliver 100% satisfaction on every project, no matter how big or small. Whether you need installation, maintenance, repair, or emergency service, these expert contractors have the tools and skills to execute the job quickly and efficiently. From faucets and drains to air conditioners and hot water heaters, contact the best plumbing, heating, and cooling company in Washingtonville. For efficient and affordable service, call A. Stevens Plumbing & Heating at (845) 496-5903 today to schedule an appointment or visit the website for more details about their many services.